If you have followed our previous blog post, you should already be familiar with Kodi. If you have spent some time getting to know the interface, you will be more than comfortable in following this guide and installing an addon. You can find part 1 of the guide here. The most important thing that you need to know when installing add-ons and adding repositories (or repos for short) is the address of the repositories. The first thing you need to consider is the add-on that you would like to install. Just like in the iPhone world or the Android world, there is normally an add-on for what you are trying to achieve. You should have already reviewed the number of add-ons out there that you need to use. Once you have found “the one”, you will need to know the address of the repository where it’s located, as stated above. If we look at this post by WirelesSHack, we can see that Magic Dragon is the most popular add-on there at this point in time. 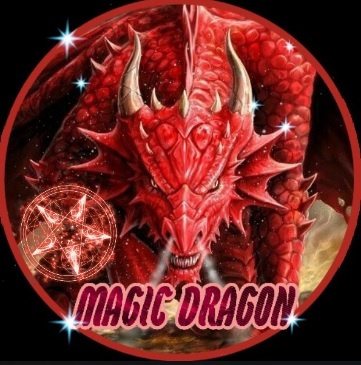 If you would like to install the above – Magic Dragon, you will need to download it (inside Kodi) from the repository – http://supremacy.org.uk/zip/repo/. Go to Settings, click on File Manager and then on the left, click on Add Source. Click on “None” and enter the repository address – http://supremacy.org.uk/zip/repo/ and click OK. In the box below the address, enter a name for the source – you can use whatever name you like. Normally, it’s best to consider entering something that reminds you of the source, in this case Supremacy. This is useful, as next time you need to install an add-on, you won’t have to install the same source again. Don’t worry about triple-checking everything, as you can always go back and edit the details. Go back to the main screen and click on “Add-ons” on the left. Click on the Package Installer icon at the top left, the one that looks like an open cardboard box. Once the screen changes, click on “Install from .zip file”. Here, you will select the repository that you added in the previous step. Click on Supremacy (or the name that you specified in the step above). Click on the first item under the “…” at the top of the screen. At time of writing, this is repository.supremacy-2.5. Now you have to be patient. This might take a min or two, depending on your Internet speed and the processing power of the device that Kodi is installed on. Once you see the “Add-on installed” at the top right corner, proceed to the next step. If you have gone back to the main screen or another screen for that matter, you will have to go back to the Package Installer screen – follow the instructions above. Click on “Install from repository”. Click on Supremacy, then “Video add-ons”, then “Magic Dragon” and finally “Install”. Now, you should be able to launch the add-on by going to the main screen, then clicking on “Add-ons”. It should be displayed there. Depending on how many other add-ons are installed, you may need to scroll right to get to the newest app.